Mamabelly is part of Wendolonia's 3 Tools, 3 Lunches series today! I am so excited! Head over to Wendolonia to see what everybody made with the new CuteZCute Cuddle Palz, Easylunchboxes and animal food picks! I am so thrilled that Wendolonia asked me to be part of this series! 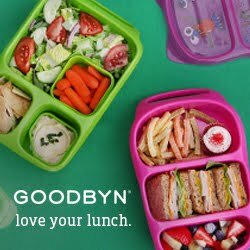 I love Wendolonia's bento lunches and her site was one of the first ones that inspired me to back bento lunches myself! Thank you, Wendy! Got a reluctant sandwich eater? Or is your child chatty at lunch and never finishes what you pack? Make sandwiches fun and lunch easy to eat while socializing with friends with these cute but easy Lollipop sandwiches! To make the Lollipop sandwiches I followed the directions to make the MOMables DIY popsicle sticks and then used my snoopy cookie cutter and stamp set to make the sandwiches and filled them with peanut butter and jelly. Now you simply slide the popsicle sticks into the sandwich and you have a cute snoopy lollipop sandwich! 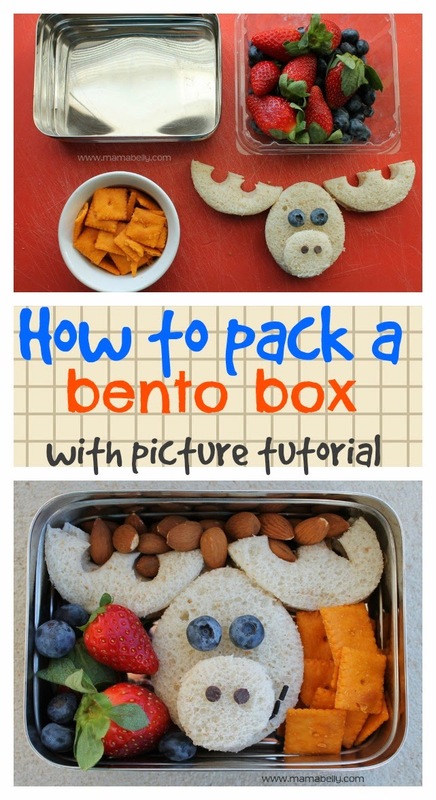 I have gotten lots of questions on HOW TO PACK A BENTO BOX so everything actually looks as cute as it was when you packed it. So I decided to show you how I packed my Moose bento box from the previous Literary Lunch post: Duck, Duck, Moose! Instructions on how to make the Moose sandwich can be found in that post as well! 1.) Get all your bento box ingredients ready. 2.) Place the sandwich first. Since the sandwich was the biggest part of this lunch I placed the sandwich carefully first (the blueberries are glued on with peanut butter and the nose and nostrils are "glued' with peanut butter as well so I know those parts won't move (more DETAILS here). 3.) Place the rest of the lunch items to fill the spaces around the sandwich. ...and added the fruit to the other side to separate the two foods and prevent the crackers from getting soggy. Then I filled the spaces between the antlers with almonds. Lastly, I added a sprinkle smile to the sandwich and used honey to make them stick to the sandwich. 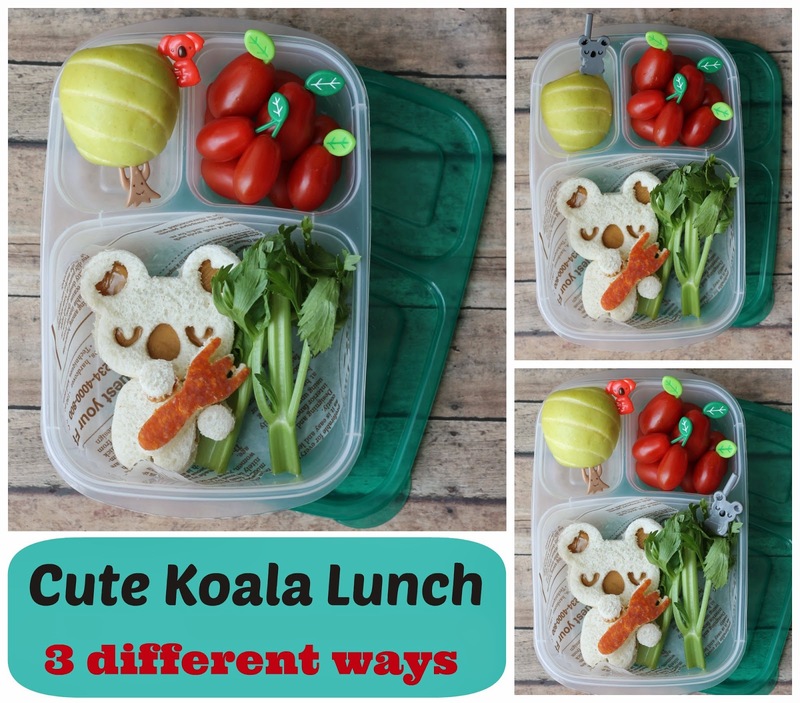 We have not been packing many lunches since we have been on vacation but once my new Cuddle Palz cutter from CuteZCute arrived I could not resist packing a quick vacation themed lunch for the kids! How cute is this little sightseeing tiger? Adorable right? I found this idea on the CuteZCute page and could not resist. and a CuteZCute Cuddle Palz Cheese sandwich tiger.